Jennifer Alvarado has more than 20 years of combined in-house and agency experience in the higher education, travel, and financial industries. 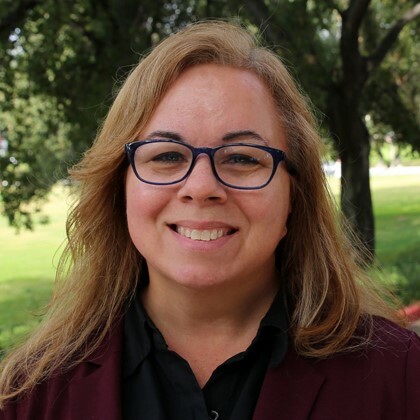 In her role as the director of creative services at the University of Redlands, she provides stewardship of the Redlands brand, supports efforts of advancement and enrollment colleagues, and partners with an agency to elevate regional and national awareness for the university. She holds a master’s degree in management from the university’s School of Business, where she taught a Principles of Marketing course as an adjunct professor. Prior to joining her colleagues in higher education, Jennifer spent over a decade at a marketing firm serving clients such as Crystal Cruises, Princess Cruises, Genworth Financial, and Pacific Life. Her work has been recognized by the Council for Advancement and Support of Education, the Educational Advertising Awards, the American Advertising Federation, and Graphic Design USA magazine. For more, visit Jennifer’s LinkedIn profile.